I may never know how I survived those 40 days without chocolate. For most of my life, I grew up absolutely dreading Lent. I knew that soon enough I'd have to face the harsh reality of going a whole 40 days of not eating my favorite snack food or candy or missing my favorite TV show every week. God forbid. How did I ever survive? More recently, I have taken a new approach to these 40 days. Instead of giving up a food or watching a certain TV show, I have tried to do something instead of actually giving up a physical something. 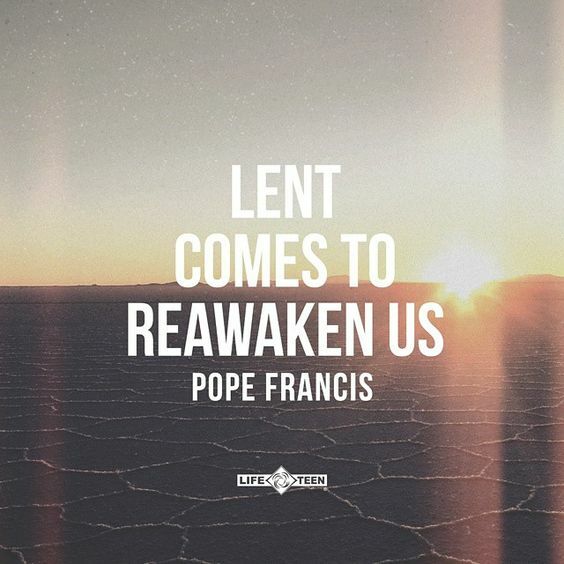 "Lent comes to reawaken us." The quote by Pope Francis sums up exactly the mentality of my new approach to Lent. I now see it as a time to reflect on myself and see where God is calling me. What are the areas of my life that I could work on or change? Do I spend too much or not enough time with certain people or focused on a certain thing? Are there any habits that I should change? Or things that I have wanted to work on, but have never started? 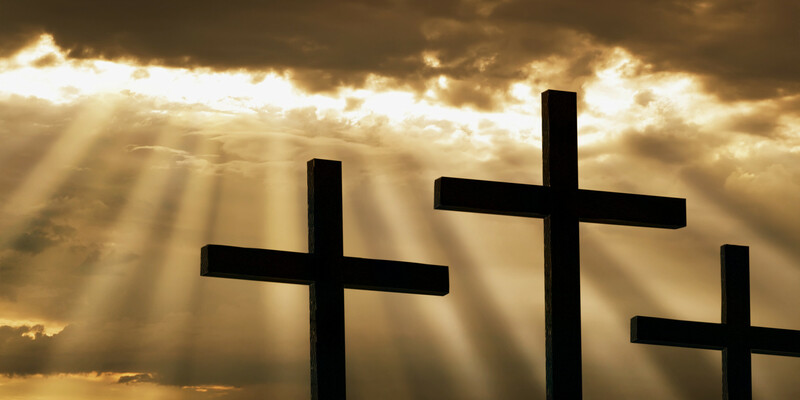 The following are 10 things to consider "giving up" for Lent other than that favorite candy bar. Our lives are so busy that prayer often gets lost in the shuffle. Not to mention the fact that when I finally do get around to it, I find myself asking God for things and forgetting to pray in Thanksgiving for all that I was blessed with throughout the day. Take 10 minutes each day, it doesn't have to be all at once, to reflect on your day and to ask God for what you need and then to thank Him for all that He has provided for you. If you’re at all like me and get excited when you can finally get to bed at a decent hour, but just end up laying there on your phone until the wee hours of the morning, then this is a good one for you. Give up 10 minutes to reflect on your day or to get in that time of prayer. We all have that little voice in our heads that comments throughout our day — comparisons that are made between ourselves and others, negative thoughts that cause us sadness or stress or even anger. Or the conversations that we have with others that are not nice. Try replacing 10 of those negative conversations with positive ones over time. I really love the idea of small actions making someone’s day. What better way to do that than to give away 10 smiles to people that look like they could use one? As a sophomore in college, I often don’t take enough time to check in on my family back at home. Take the time to check in with 10 people that you haven’t in a while, whether it be via phone, a text to let them know that you’re thinking of them or even good ol’ snail mail. However you want to do this one. Take a break from your crazy day and listen to 10 songs to relax and give yourself a second to breathe. Alternatively, try and listen to 10 new songs each week. The mountain of clothes shoved into my drawers and that is sitting on the chair in the corner of my room grows bigger and bigger each time I look at it. It’s like the commercial for all-you-can-eat pancakes that refill each time you take a bite. Most likely, if you’re like me, you rotate through the same five or six outfits all the time. Over the course of Lent, try and come up with 10 items of clothing that you can get rid of that someone else would be able to benefit from. These never hurt anyone. Just like the 10 songs, it is totally up to you how you want to split it up. Maybe at first try 10 random acts of kindness per week — holding the door for someone, using your manners or saying good morning. Then maybe, if you’re feeling daring, try 10 a day. Last year, I was super ambitious and told myself that I was going to write 40 people a letter — one for each day of Lent. Well, that didn’t happen … as much as I would have liked it to. So, maybe writing a letter to just 10 people over the course of the 40 days is more realistic. The letter can be about whatever you want. Some examples of what I’ve read about are letting the person know that you’re praying or thinking about them or how much they mean to you. One of my proudest creations is my Pinterest board, especially my quotes board entitled … you guessed it: “Quotes.” Real creative, I know. However, one of the reasons why I love creating the board is to learn a whole bunch of new quotes and to be able to go back to them when I need some inspiration. So, over the Lenten season, consider making yourself a collection of new quotes or words or poems … anything that can be of use to you.